I am Dinesh Kumar Wickramasinghe. I am from Sri Lanka. Currently I am working as the head of Manelsoft Software Solutions. I mostly interested in cloud technologies like Salesforce and Microsoft Azure and also Electronic and Microcontroller related technologies. 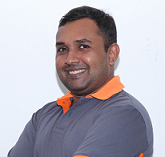 I completed my BSc (Hons) degree in information technology from Sri Lanka Institute of Information Technology and I have around 5+ years experience in the Software industry. I've also completed three Salesforce certifications so far. Those are Certified Admin, Platform App Builder and Platform Developer I. Electronic is my main hobby and I like to write simple blog posts for everyone who like to learn from the beginning. This blog has simple electronic experiments and Internet of Things (IoT) experiments with easy steps, images and code examples that everyone can follow. I also like music and reading. You can connect me from below links.